I will be speaking in vague terms so that those who haven't watched the episodes will not have major spoilers. So if you've seen the episodes, you'll likely know exactly what or roughly what each of these cues reference. Ep. 1 - Started interestingly, seemed somewhat Trek-like in the beginning although cryptic. Toward the end, the episode got bland due to wooden acting and very little personality building. Then the thing happened with Burnham and you just went wtf and the episode lost all Trek feel. Ep. 2 - A continuation of Ep. 1, still lots of wooden acting. Still little personality. Still weirdly unTrek feelings. Action scenes are...okay. Who are these Klingons? These are no Klingons. There is only bloodlust, no spirit, no honour, no Klingon heart. Ep. 3 - The UnTrekness continues. Very shady actions taken on part of Starfleet officers. Technology way beyond what the Trek universe would have if the series is seeking to stay true to the lore and timeline. Honestly, this episode was just too weird and uncomfortable. It did not once feel like a Starfleet ship or crew. Ep. 4 - Another mark in UnTrekness. Starfleet would never allow for such blatant ethical violations. Characters are growing, but everyone is way too serious still and thus still quite wooden. These people desperately need to a) loosen up, b) get laid, c) reread Starfleet directives. Ep. 5 - Actually the best episode in the series so far, but...that's not really a high bar at this point. Characters have way more development. Some scenes are weird like a torture scene where the torturee comes back from torture looking like they honestly were not tortured one bit. Slight comedic relief, although it is still glaringly obviously missing from the series still. First f-bomb in Trek, very out of place and honestly a waste of two f-bombs. Two characters reveal a shared relationship which comes off super out of place because absolutely nothing in the series so far has shown these characters having any interest or friendly interactions between one another. Main point - we as viewers finally actually get to feel some relation and empathy for these characters and have a spark, albeit small, from which to have our investments in these characters grow. Ep. 6 - Discovery is keeping on a positive streak from Ep. 5. More character development, some questionable Starfleet decisions though, e.g. intimate fraternizing between a superior and subordinate both of very high rank. The premise of the episode is a bit odd story-wise when compared to what is known in Star Trek lore so far, but thankfully not completely outside of the realm of possibility. Main point - Things are looking up, this episode was not as good as its predecessor Ep. 5, but it was not a disappointment either and was mildly entertaining. Honestly I'm surprised you think episode 5 was the best. I thought it was the worst episode. The Klingons are even more un-Klingony here than in previous episodes. Klingons don't just randomly torture prisoners for fun. Sure the TOS-era Klingons weren't terribly honourable but I can't imagine even them acting like this. And the Klingons in all the other Star Trek series would never in a million years act so dishonourably as these creatures. I still don't like these Klingons. But my episode analysis definitely wasn't centered around the Klingons. It was around the main characters. As I said, the episode wasn't perfect but it was the best one that Discovery had to offer yet. And as I said, that was not a high bar to achieve compared to previous Discovery episodes. Ep 7. I think I can say that now thus far this is my favourite episode of this series. While Ep.5 was a rescue of the series from 4 bad episodes in a row, it wasn't hard for Ep.5 to raise the bar since the bar was so low to begin with. This episode however, Ep. 7, is actually pretty entertaining. There is a lot of character development with Mudd, Tyler, Stamets, and Burnham. The characters and actors seem to be doing a good job, personality seems to be seeping through for once, and a time-loop story is a Trek classic. Some issues still exist though. For example, a very certain relationship seems to be moving at breakneck speed. Especially considering that the interaction between Burnham and this other character just began last episode. But on the plus side, when the events of the episode were over, things seemed to slow down in that relationship. One good thing is that things are a bit more defined with Stamets and his relationship with another character which before this episode was very questionable and abrupt. One weird note is that Lorca as a captain is still a mystery to me in terms of being a pinnacle Starfleet captain. He's often very uninformed as a captain (e.g. often has no idea what's going on) and his attitude toward his crew is always one of distance. He also treats his crew in brusque manners which bothers me since it seems like he respects no one in his crew when he acts that way. And what kind of Starfleet ship operates well with a captain who shows seeming lack of respect or acknowledgement of his crew's competence? But in the end, Ep.7 is a high(er) point for Discovery. It is very Trek like in the nature of the episode, personalities bloom, characters have depth, and for once things seem light-hearted. Hopefully things will continue in this direction of Trekness and being quality acting/development/story-telling. I could debate with you on many points, but I will just allow myself one, so you don't end up hating me. Not that I disagree with everything you said at all, but I do have a different take on several of your points. 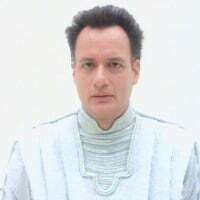 With regards to your last statement about Lorca, "if" the Discovery is, in fact, Section 31 based, then even Lorca would be duty bound by special orders not to reveal too much to the crew. I don't see much evidence of when he is "clueless", but the distance makes sense based on the fact he basically murdered his last crew to save them from torture, and doesn't want to get too personal with this crew in case the same thing happens again. Thus, his mental instability for the moment. I do disagree with the "lack of respect" comment. Being more of a military figure instead of a purely Starfleet Captain like we are familiar with, he demands high quality and results in his crew and their actions. Military mindset does not allow for compliments or praise with a character of this nature. In the rare occurrence he does, such as with Tyler, it is more subtle. I will say I agree with the idea that Discovery writers & producers have a long way to go to prove the "Trekness" of the show. Only time will tell. Oh they definitely still have a long way to go to prove the Trekness. My issue with the "lack of respect" isn't that he doesn't dole out praise or compliments, it is his attitude toward standard procedures. For example in Ep. 7, Saru, Burnham, et al state that protocol requires them to take the Space Whale thing aboard. His reaction, "okay, I don't care, just do it". To me that is a lack of respect either for the officers' suggestions/statements about protocol, or the protocol itself. Whatever it was, his nonchalance just irked me. Even if Picard or some other SF captain honestly did not care about the thing, they wouldn't have expressed such a blatant dismissal of opinion/protocol. This episode (Ep. 8) was...mediocre I suppose. It had cool moments and lots of boring moments. The whole planet part of the episode were boring and made little sense. Only toward the end did the planet parts string together some semblance of a cohesive plot. The Klingon ship moments however were pretty interesting. Collusion and treachery possible but left at an unfinished and unclear cliffhanger. The beginning of the episode was also unclear. It seemed like a simulation, but then it seemed like it wasn't a simulation. I still don't know if it was a simulation or not. Character development had some more budding moments but was a bit more wooden than the past few episodes. Next episode is the Fall finale, so we shall see if any loose or unclear ends from Ep. 8 get tied in Ep. 9.
hehehe...just what I thought that series would be: rubbish...with little to no "trekness"
I still mind everything to be honest. The Klingons still bother me as "Klingons", but I've just come to accept them as something completely different. They still aren't Klingons to me. The technology still bothers me like how everything is super advanced yet supposed to take place a decade before Kirk/TOS. So a lot still bothers me for sure. The only things which I am warming up to is that wooden characters are becoming less wooden, and if the series does more Trek-classic plots then I will move from "I Dislike The Show" to "Meh I Couldn't Care Less About The Show But That's Better Than A Dislike". Okay so time to rein in the last episode of Discovery 2017. I will not be using vagueness in this specific post. At this point, if you haven't watched Discovery, that's your business if it gets spoiled for you here. So this episode has actually been their best one yet. I've said that a few times over these reviews, but I call out good stuff when I see it. So let me quickly rate the episodes from in my opinion, best (top of the list) to worst (bottom of the list). So this episode, Episode 9 honestly has very little I feel I can critique. We have a feel of who the characters are for the most part, so the fact that Lorca disobeys Starfleet to go back to fighting the Ship of the Dead and protecting Pahvo, is not uncharacteristic at this point. The action in the episode is good, riveting, and appropriate. The depiction of a character with PTSD is honestly very well-done, one of the highlights of this episode is how much character-development those scenes brought. Stamets' commitment to ensuring the success of this mission is something I expect to see of Starfleet officers, so that is nice and spot-on for Trek. Burnham's redemption battle is not as epic as I would have expected, but it served a good purpose. The episode did leave off on a cliffhanger, but honestly that part feels just meh. Simply because the show felt like they would end the series with this episode as all the plotlines of the series so far were wrapped up. More than likely the producers set it up this way in case the show did meet an abysmal reception. And overall, I would be perfectly fine if they had ended the show here and had it where Stamets had made a successful spore-jump to the Starbase. So what do I not like about the show still? The Klingons are still nothing Klingon. Granted the show writers made Kol appear more dishonourable than we are led to believe Klingons to be by Burnham's statement to him. But still, these Klingons are wholly un-Klingon. They still lack the revelry, passion, and spirit of the Klingon race. They are still all about bloodlust and fighting. Which, I will admit are integral to the Klingon race; however, bloodsport is not all that Klingons are. 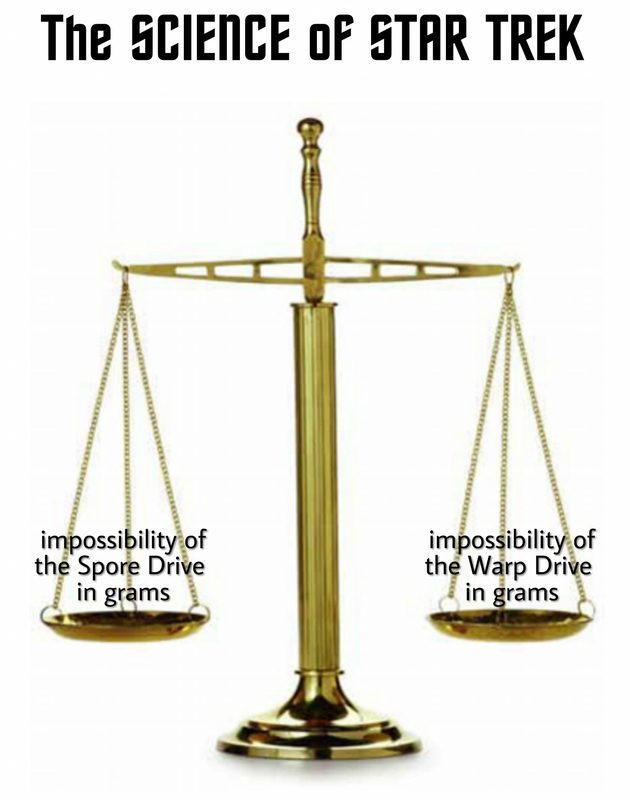 I still don't like the spore-drive technology. I still think the idea is dumb and poorly founded and way beyond the actual timeline this series is taking place in. Another thing, while I like Tyler's and Burnham's relationship dynamics, they still have moved way too fast to a point where it makes little sense. Where they should be in their relationship now is just beyond like first-date stage, yet they're already kissing and almost devoting their lives to each other and sharing the most intimate painful things about themselves. Like do they just have no filter? Are they destined to be soulmates so strongly that these social barriers which normally take months if not years for two people to overcome, are just not a problem for them whatsoever? Like I said, too fast. Lastly, I still don't like how dry some of the plots and writing is. Like this is Star Trek for crying out loud, dryness is a thing in ST plots, but we are still missing comedic relief and warm-heartedness. Tilly can't carry this task alone, more people need to be involved in this. Doing so will let people's personalities blossom even more. So what do I like about the show? It is growing on me, but it is still my least favourite Star Trek series. I like most of the crew, they've mostly grown out of wooden acting and personalities and finally seem to be thinking, feeling, sentient persons. That said, there are no Janeways, Sevens, Picards, Siskos, Kiras, et al. The actors are doing ok, but they aren't top-notch like previous series have had. Despite thinking Tyler's and Burnham's relationship is moving too fast, I do like them together. I like that the show did explore a deeply profound mental health issue so far. And I like that there is the first open LGBT couple on the show, even if I find their relationship and interactions underdeveloped at this point in the series. As a couple, they still feel like strangers or work-acquaintances to me as opposed to an actual loving partnership. But I will give that relationship some time to show us more. Which is ironically funny, Stamets and Culber who have been in a relationship for possibly years, still are awkward with each other and still not fully open with things about one another; yet, Tyler and Burnham, a relationship which is seemingly a month old at most, has taken leaps and bounds that the older, more time-established relationship has not. So those are my thoughts. Let me know yours. I just 'found' this category in the forums a few days ago, and so missed all of the conversations being held in various threads about the new Star Trek Discovery TV show as they were happening during the first 2 months. Perusing through the posts now (i.e., not just thread), I was not surprised to find there are those who do not like the show thus far, as something new will always not appeal to everyone. I was also not surprised to read so much negativity, because after all, it is pretty much unavoidable on the Internet. But finding relatively little positive feedback about the show prompts me to ask, 'What is wrong with me? ', as I have genuinely been enjoying watching the show - I have looked forward to each new episode every Sunday, and will now miss it until it resumes in 2018. Klingons - I found the opening of episode 1 to be a powerful scene, and while his character is now only with us in spirit, I think T'Kuvma clearly enunciated the importance of Honor for Klingons. The fact that at this period in the timeline there are many Klingons who are not as focused on it as Worf demonstrates many decades later I find to be completely reasonable. Just as with their physical appearance, I think it is normal for their culture to have changed over time, and I think those who are viewing these Klingons as being 'UnKlingon' might be falling into the trap of judging a historic generation by modern, so called, standards - a trap that is not uncommon in our real world today. Captain Lorca - From episode 3 when he first appeared, I have really liked his character, and do not agree with those who seem to see him as something along the lines of the devil-incarnate. For me what stands out is that he is an effective leader. Clearly Landry was, and Tyler is, very loyal to him. We hear Burnham say it is an honor to serve a captain like him. Even Stamets, who has his disagreements with him, still ultimately shows respect for his direction. People will not follow a bad leader as this crew follows Lorca. Humor - I think there has been a decent amount of humor in the show, although I can understand how some people would either like more, or do not see it at all. In addition to Tilly, I think Stamets has provided some good moments, but I suspect the issue here may in some cases have to do with the taste of the viewer. 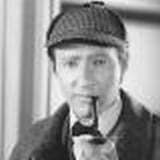 Personally I view good humor as being something clever (going way back to movies made 80+ years ago, I appreciate/enjoy the Marx Bros.), whereas based on what we find in many modern Hollywood so called 'comedies', there are many others in our society today who find people being dumb to be funny. Spore-Drive Technology - Like I assume many other viewers did, when first hearing about the spore-drive technology, the natural question I asked myself was how could this have been prior to Captain Kirk's time, when we don't see anything like it in later Star Trek? I think over the last couple of episodes this has now (to me) been satisfactorily answered. This technology that Stamets developed was not kept into the future, because there was no sustainable solution for the navigation problem. In conclusion, I think the ultimate question is whether what is 'Trek-like' is something that can evolve over time, or is it stagnant and not open to grow? I'm just going to touch on one point. The Klingons. If Enterprise didn't happen and this was prior to something that would lead to TOS, I'd be able to follow (even if I disagree with) your reasoning. However, and taking appearances out of the equation, I find it incredibly difficult to imagine a cultural shift that would be so radical and then radically reversed in such a short period of time. If things other than what is considered fashionable in clothing evolve, they rarely evolve and devolve in a near exact pattern. Even when you have a tyrant or revolutionary bring about a return of the 'good ol days' they never really are the same. Go from Broken Bow to Day of the Dove... and you can use mental gymnastics to make Discovery fit, or just assume that Kor, Koloth and Kang, and just about every other Klingon cept maybe Duras are aberrations. Or simply accept whatever and not think too hard. I agree with you that folks comparing Klingons should not use Worf, as you suggest, as Worf was meant to be an outsider taking on Klingon culture to the extreme to assert a certain Klingonness that kept eluding him. He's rebuked as such by his brother Kurn during the Klingon Civil War. He's reminded of this by the Dahar Master Kor as they search for the Sword of Kahless, and by Martok on multiple occasions as in many ways Martok and Jadzia mentor him in actually becoming more Klingon. However, there are other examples of Klingonness throughout multiple series, such as Kang, Koloth and Kor. In fact those guys should be in or entering the KDF around the time of Discovery if they are to rise to the rank they had in TOS. It's hard to reconcile that they would come from this Klingon culture within a 10 year or less span. Just because something changes, does not mean it has evolved. Otherwise films like the Dukes of Hazzard Movie, Staying Alive and Batman and Robin would not have been so horrible as change would have been growth. And folks not-accepting Discovery may have already been through a number of Trek changes over multiple decades. You'll find on these forums folks who are newer to Trek and those who jumped on during TNG, or even TOS. You'll find people who watched the Animated Series. Endured TMP for that matter. Agreed with the reviews. If this thread is one with spoilers, is it a place to speculate where the crew are 'lost'? What do you mean by "lost"? As for spoilers, while the season was running, I made sure every episode review was vague and left with as little spoilers as possible except for the review of the final episode. Thankfully, we have a "spoiler" feature built-in to this forum. So let me elaborate -- and folks, you've been warned... don't click if you don't want to know about what's been happening on Discovery! The crew ended up in an unfamiliar place at the end of the mid-season finale. My speculation is that it is an alternate universe, one where perhaps Georgiou is still alive, the Klingon war may not exist, Mudd may still be a problem, and the Admiral who was going to have Lorca removed from duty probably never had that experience with him in his quarters, making his captaincy safe, for now. Episode 9 was awesome. It has everything, Action, Emotions, Leadership, etc. But, what I do not like in general is that they do some things too fast. I think this is because they did not know if they have the time. It could be quite possible that the show would only go for 9 Episodes. I expect that it this will become better in the future. The so-called Klingons... still a complete new race for me. I am calling for it to be the Mirror Universe. One of the reasons why is the fact that they have come across a large field of Klingon ship debris, hinting at the fact that whomever destroyed them are more ruthless than the Klingons were. We had Stamets make comment relating to the nearly complete map of the Alpha Quadrant about there being places in space that are portals, when accessed, to another reality, and the language he uses indicates it is to one darker than the main one they are in. The recurring "alternate reality" in Star Trek is the Mirror Universe, and since the show's creators are "attempting" to utilize canon (attempting used lightly here), it would make sense for it to be the reality where the war-focused entity of the Terran Empire is in control. Where I'm at with Discovery now is mainly disappointment mixed with a little frustration. I really want(ed) to like it, but so far there are just too many reasons for me not to. I'm not even that bothered about the look for the Klingons, the uniforms, the technology.... As soon as they announced it would be a prequel, it was inevitable that inconsistencies like this would be apparent. In my younger days, I would have been more annoyed, but I can just accept it now. What does bother me though are things inherent to the series in and of itself. The individual plots often don't make sense and are full of gaping holes. They feel contrived for maximum "action" value, but don't hold up under scrutiny. In almost every episode things could have been solved a lot easier or quicker. Related to this is the apparent need to make Burnham the centre of everything. Every situation is conceived so that, one way or another, she is the only person who steps up and solves the problem. Is everyone else so useless? Although they have put some effort into characterisation, there are some characters that have not been sufficiently fleshed out yet, and it seems to be the amount I like a character is inversely proportional to their screen time! We know nothing more about Tilly than we did when she was introduced (basically just comic relief), and Stamets seems to have the one job and nothing more... His relationship with Culber is a nice touch, but it is buried underneath so much other stuff that it falls flat. In contrast, and as discussed above, the Tyler/Burnham thing has happened far too quickly and has far more screen time than it deserves. Pseudo-science and related technobabble is too prominent. You would have though they would have learned by now, but obviously not. We don't need a detailed account of how everything works - sometimes it's just tech solutions to tech problems and none of it is very interesting; it's not good drama. Just push the button already! Enough with the Klingons! - All the Klingon scenes are boring, distracting and take up way too much time. Since they all look alike, I can barely tell one "Klingon" from another. All the mumbo jumbo about uniting great houses... it's so boring, and it's made worse by the subtitles. Who cares? Subtitles are always annoying. And when it's a made up language anyway, completely unnecessary. We can just imagine they're speaking a different language, as we do and have always done with every alien race in Star Trek (and other sci-fi). Actually having them speak gibberish all the time is an insane idea. It's not terrible, there are some good aspects to it - it's certainly better than Enterprise (not that that's difficult), but it needs to be trimmed down a bit; focus on developing an interesting group of core characters, get rid of the fluff, and come up with interesting and ideally original stories that work simply, without a lot of technobabble. "Less is more" would be a good lesson for them to heed. I gave up on this after 5 episodes, the Klingons and Burnham were too much for me. Though I do like popping in and reading the reviews here (although those same reviews have just reinforced my opinion that I made the right choice quitting when I did). The Klingons aren't Klingon, that's really the biggest thing I can't get past. Once I saw the Klingons torturing Lorca, Tyler and Mudd I was like "ok I'm out", Klingons don't torture prisoners just for kicks; even if they aren't really as honourable as they claim to be, they're not *that* dishonourable. It's too bad because I really like Saru, and to a somewhat lesser extent Stamets and Lorca. I'd love to see more of these characters, but I'm not willing to put up with all the Klingon and Burnham garbage to do it. I haven't watched it yet, that's my goal for tomorrow night. They also tried to poison a federation grain supply. If anything it is TNG that can be accused of retconning the Klingons by given them a sense of honour. Why bother even watching it? It definitely is the weakest Trek, even beating out TNG's first season in terms of being shid (and we all know TNG season 1 really sucked, so you gotta do a lot wrong to be worse than that). I regret being so dumb and paying money to CBS.